Finding the perfect place to live can be an arduous task, and listing a place in the most positive light can be just as challenging. Apartment Guide, a brand under the RentPath Network, hopes to make both sides of process a bit more seamless. Expanding it’s partnership with DIAKRIT, an innovative digital solutions firm geared specifically toward the real estate industry, Apartment Guide announced today that it is now offering 3-D floor plans to an expanded number of its clients. From a landlord or property manager’s perspective, the added features to Apartment Guide puts them front and center in the virtual search. Apartment hunters don’t drive around to different communities to find the perfect apartment anymore, so this is intended to bring as much information as possible to the forefront of the search on Apartment Guide. 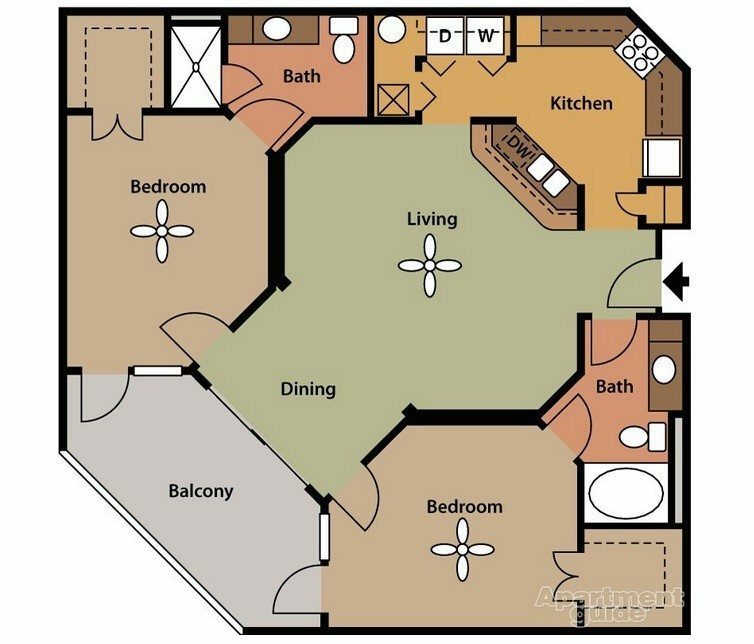 Apartment Guide’s floor plan model. With the addition of high-quality photos, 3-D renderings and room planning functionalities, apartment searchers can find exactly what they are looking for from the comfort of their own home and know that there aren’t going to be surprises down the line in terms of size and space configuration. Although the Room Planner and 3-D floor plans are not created from data gathered on-site, the listings may also feature HD photos. Floor plans can be viewed as furnished or unfurnished. Apartment Guide’s 3-D, furnished floor plan. And while the floor plans and planner come from renderings of the space configuration, they still maintain a similar aesthetic and style of the actual unit. “These are very good tools for advertisers because when a lead is generated, that consumer is a very educated consumer and they have already gotten pretty far down the sales funnel. They have already gotten themselves educated on the apartment and area by the time they get into the car to go see it,” said Charlie Engel, key account manager with DIAKRIT. 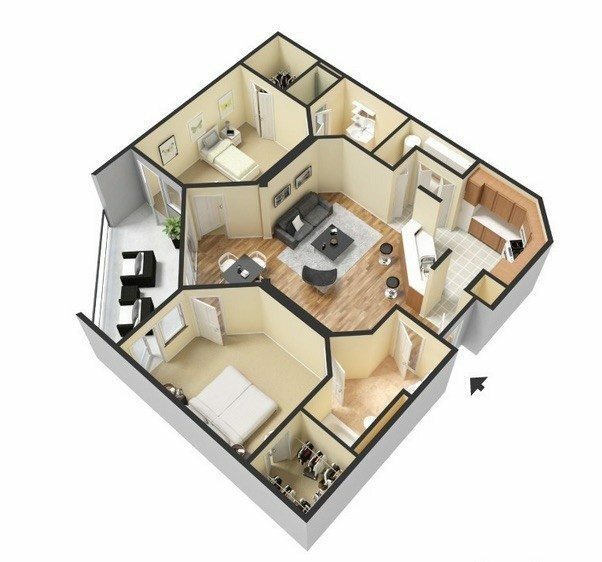 The Room Planner functionality allows the apartment hunter to virtually move into a space. The specific floor plan of a unit is laid out with a right side bar featuring all types of furniture such as coffee tables, dining tables, sofas, bedroom sets, night stands and chairs. The renderings of each furniture piece won’t look accurate in terms of style, but the dimensions can be specifically adjusted to ensure that each piece of furniture the apartment searcher owns can be accurately depicted in the layout. This functionality can be especially helpful for people who are moving to a different city or state. Before even packing up a moving truck, you’ll know what furniture will fit or if you’ll need to purchase more furniture. “It saves time for everyone involved,” Schreck said, “… because they can really narrow down the search by looking online. And it saves time on the property manager’s side because you’re not giving tours to people who aren’t qualified.